Contemporary elegance in a historic setting, Chicheley Hall is tucked away in 80 acres of beautifully kept grounds. This stunning Grade I listed mansion is ideal for your teambuilding events. Chicheley Hall is regarded as one of the finest examples of early 18th Century architecture and has been used as a location for such film and television projects as Pride and Prejudice, The Meaning of Life, and Black Beauty. Coupled with 48 individually furnished bedrooms overlooking lovely gardens, modern amenities, and the latest business facilities you are guaranteed an unforgettable experience. 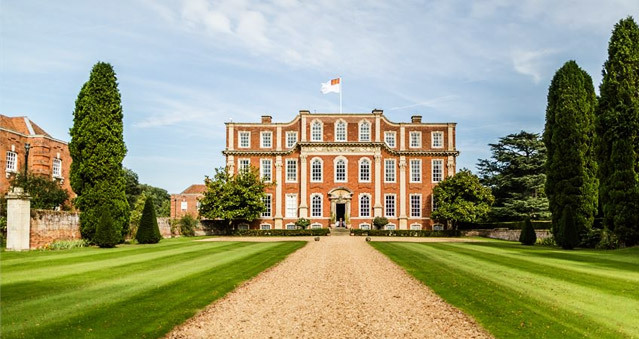 Chicheley Hall is proud to be home of the Kavli Royal Society International Centre, a venue for residential events. Location: proximity to the M1 and fast rail links to London Euston from nearby Milton Keynes.